Juraj Škoda is a student at the Prague Conservatory in the class of Professor Renáta Strašrybková. He grew up in Dobrá Niva (Central Slovakia) in a musical family. He started playing violoncello at the age of 6 at Elementary School of the Arts in Zvolen, with the professor Vojtech Farkaš. He has succeeded in many competitions in both solo and chamber music. His best-known successes include the Laureate of the competition and the winner in his category in Sherbourne-England, 1st prize and the composer prize for best performance at the Violončelová Jeseň in Modra and 2nd prize in Czech National competition of conservatories. 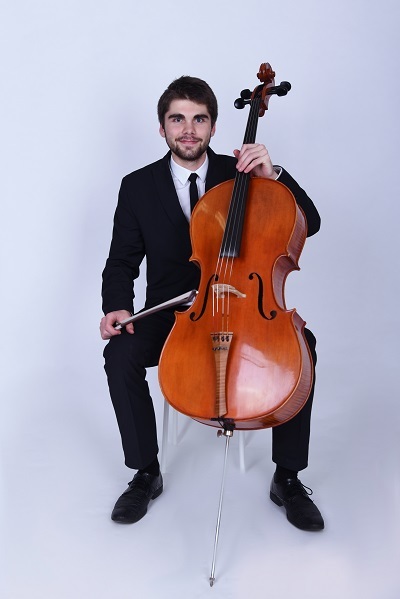 He won the first prize at the National competition in Brezno, 4th place at the international competition Talents for Europe, 2017 in Dolní Kubín and 2nd place at the national competition Nitrianska Lutna. If you are interested in working with Juraj, please get in touch with the EMCY Office.